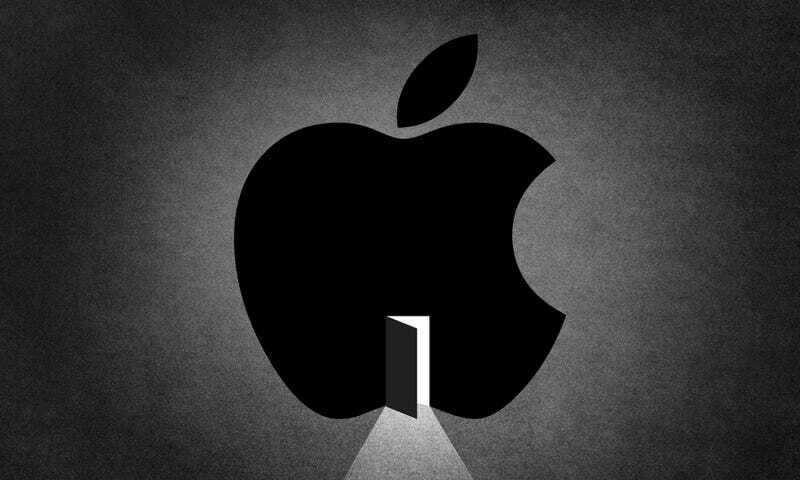 Everyone always wants to know what Apple is up to, and Apple is always trying to hide what they’re up to. Luckily, we have the internet, which is chock full of rumors and obsessive analysis from Apple fanboys. We already know Apple is probably planning a March event where it will reveal updates to many of its existing products. What we’ve done is gathered all of the products most likely to be revealed at the upcoming media event, in addition to everything else that Apple engineers are likely working on down in Cupertino, California. Just what is Apple working on these days? Here’s our best guess. We’ve heard about the “budget iPhone” for years, but this year, we might actually get one. We’re fairly certain that a four-inch iPhone will be revealed later this month at Apple’s special media event. Possible prototype designs were leaked on Twitter weeks ago, with rumors pointing to a March release date. Across the web, rumors seem to agree that the new iPhone will have a 12-megapixel rear camera, and could cost anywhere from $400 to $500. MacRumors says it obtained a a research note to Apple investors: According to the note, the 5se could feature 16GB and 64GB storage, and probably won’t have 3D Touch, the feature that was released last year as an exclusive to the iPhone 6s and iPhone 6s Plus. Along with the four-inch iPhone, here’s another product we can expect to see revealed at the March event. The line of ultra-thin and light iPads has been struggling since it launched in 2013, so we expect to see a completely overhauled version of the new iPad Air. Whispers at Macworld say that we could see a March 21 release, and it could have a Smart Connector on the left side of the unit like the current iPad Pro. It could even be compatible with the Apple Pencil, 9to5 Mac predicts. But according to the latest rumors, the 9.7-inch tablet could be released as simply a new “iPad Pro.” The inside will be souped up, too, with more RAM and an Apple A9X processor. There could be a 12.9-inch model, as well, and the 9.7-incher could be capable of recording 4K video. In the year since its release, the Apple Watch has sold more than 4 million units, making it the second best-selling wearable behind fitness tracker Fitbit. Given Apple’s strict product release schedule, we’re expecting to see a second generation of the Apple Watch at this year’s March press event. Nothing is certain at this point: Macworld UK reports a mix of rumors that tie the second-edition Apple Watch release dates to March and September. The price is a little more clear: The consensus seems to be that the Apple Watch 2 will likely start at $349, the same as the original. As for new features: The Apple Watch 2 might contain a new chipset that allows for more communication with the iPhone, and a video camera to allow for FaceTime. Past leaks hint that its design will remain largely unchanged, save for the screen. It might be thinner, which could stretch battery life. Finally, we could see more bands for existing Apple Watches. The four-inch iPhone isn’t the only smartphone Apple will release this year. The seventh version of the iPhone supposed to have some seriously souped up capabilities, including a new camera. Not only could it feature optical image stabilization and killer zoom, but it could have dual cameras, too. The design will probably be a big departure from past iterations. The iPhone 7 will likely be the thinnest iPhone yet, and made out of a composite material that makes the thing waterproof and weather resistant. Finally, we might see A10 processors that would make the 7 super powerful. The name could also be the “iPhone Pro.” That is, at least one of the 7 models could be. Just last week, more rumors swirled that there could be three models of the iPhone 7: the 4.7-inch iPhone 7, the 5.5-inch iPhone 7 Plus, and an even bigger iPhone 7 Pro. Finally, the phone could be made thinner by eliminating the headphone jack—instead, there could be a Lightning port that will charge and play music with Lightning-equipped headphones. Fret not, though. Earbuds still might come with the phone, but for the first time, they could be Bluetooth wireless ones. Apple’s looking to court the growing number of cord-cutters with a new streaming service that could cost $30 to $40 a month. That’s more than alternatives like Sling TV, which is $20, but Apple’s goal might be to work with local channels and networks like ABC, CBS, and Fox. It’s been in talks with companies like Comcast for streaming TV partnerships as far back as 2014. But MacRumors says that the Sling TV App appeared in the Apple TV App store briefly, which could hint at an upcoming Sling-Apple partnership. We will probably see a new tablet hit shelves September 2016, or at least sometime this fall. Like the iPad Air 3, the iPad Mini 5 is speculated to be thinner than its predecessors, possibly being a paper-thin five millimeters. This is slimmer than the already ridiculously slim earlier models, which measured in at just over six millimeters. As for its body, we could see the same 7000-series aluminum chassis that’s been featured on the iPhone 6s and 6s Plus. It’s a durable frame that will come in especially handy if the unit turns out to be as skinny as rumors seem to be indicating. We expect the iPad Mini 5 to be waterproof and dust-resistant, too. We might even see 3D Touch, a feature that’s already on iPhone 6s and 6s Plus. Rumor sites think that the Mini 5 could go for $399 starting at a 16GB model. The Mini 5, with its anticipated 8-megapixel rear camera and the 1.2-megapixel front one, set for FaceTime, is forecasted to come out this fall. Apple’s latest mobile operating system is expected to be released at this year’s Web Developers Conference in June, and could actually be available in the fall. KnowYourMobile points out that the upcoming OS is already popping up in Google Analytics data on some sites, which means that the good folks at Apple are already using iOS 10 to browse the web. It’s still too early to guess what exactly what will be featured in the new operating system, but the internet’s already making assumptions: Like, for example, greater Siri capability—for once, she might actually come in handy, with services like iCloud Voicemail. That’s when transcriptionist Siri will convert spoken messages from missed calls you receive into text for your iPhone. We could also see multiple accounts available for multiple users, which would come in especially handy for devices like iPad. And one of the many wish list items for iOS 10 includes better integration of 3D Touch. Siri May Transcribe Your Voicemail Because Who Uses Voicemail Anymore? The new MacBook model will almost definitely include Intel’s “Skylake” chips, which should make the MacBooks faster and more powerful. Apple Insider says that these Skylake chips could boost MacBook CPU speed by 10 to 20 percent, and integrated graphics chips up to around 40 percent. Apple Insider also says that this switch over to Skylake could extended MacBook battery life by a hefty 30 percent. We might hear more about this at the March event, but the computers themselves will ship this summer at the absolute earliest. We’d be remiss to not include the much-hyped electric wonder vehicle that’s supposedly being brewed up in Cupertino. The so-called “iCar” is the assumed rival vehicle to go against Tesla’s electric cars, with witness reports of weird “motor sounds” being heard late at night near an Apple campus in Sunnyvale, California, where the car is suspected to be in development. What might this car actually be like? Well, it’ll probably have self-driving capabilities, though Apple would probably trickle that feature out after several releases. It’s suspected that the Apple Car won’t be until 2019 or 2020 until we finally see the thing, though. We’ll update this post regularly to include more Apple-centric rumors we find—and if you have tips, email me, or leave a comment below!